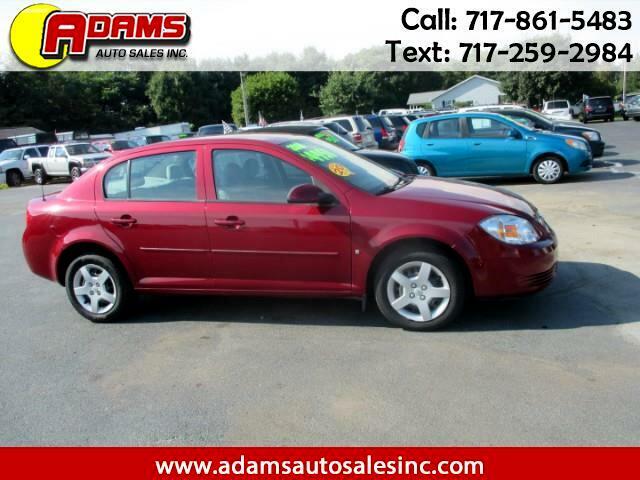 Used 2008 Chevrolet Cobalt LT1 Sedan for Sale in Lebanon PA 17046 Adams Auto Sales Inc.
***BUDGET BUY*** This 2008 Chev Cobalt LT sedan is ready to hit the road! It is equipped with a 4 cyl 2.2 liter engine and an automatic transmission. It has a maroon exterior and a beige interior. Low miles, only 112,045 original miles. Save on gas with an estimated 22/31 MPG. Free Carfax report is available. Brand new inspection and emissions, good thru August of 2019. Stop in and take it for a test drive today. This 2008 Chev Cobalt LT won't last long!